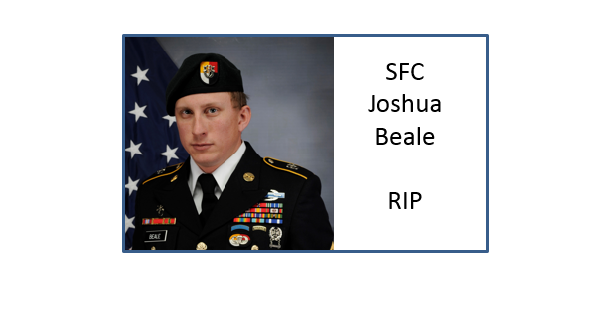 SFC Joshua Beale, age 32, died on Tuesday, January 22, 2019, in Uruzgan Province, Afghanistan, while conducting combat operations. He was assigned to 3rd Special Forces Group (Airborne), Fort Bragg, North Carolina. Joshua Beale, succumbed to wounds sustained from small arms fire. He was supporting Operation Freedom’s Sentinel. Beale – who was also known as “Zach” – was a native of Carrollton, Virginia. He graduated with a Bachelor of Science degree in Criminal Justice from Old Dominion University in 2008. Zach enlisted in the U.S. Army in 2011. He attended Basic Training, Fort Benning, Georgia, where he graduated from the U.S. Army Airborne School. Beale graduated in 2013 from the Special Forces Qualification Course (SFQC) and was subsequently assigned to 3rd SFG(A). While assigned to 3rd SFG , he graduated from numerous other Army courses, including the Advanced Leader Course, Special Forces Sniper Course, and Army Ranger School. This was his fourth overseas tour, and his third tour to Afghanistan. He had more than seven years of service in the Army. His awards and decorations include the Bronze Star Medal (3rd award), Purple Heart, Meritorious Service Medal, Army Achievement Medal, Afghanistan Campaign Medal, NATO Medal, Overseas Service Ribbon, National Defense Service Medal, Global War on Terrorism Service Medal, Special Forces Tab, Ranger Tab, Parachutist Badge and Combat Infantry Badge. SFC Beale was assigned to 1st Battalion, 3rd SFG. Beale was posthumously awarded the Bronze Star Medal, Purple Heart, and the Meritorious Service Medal. He was posthumously promoted to Sgt. 1st Class. Col. Nathan Prussian, 3rd SFG (A) commander. Beale is survived by his wife and two children . January 23, 2019, “Green Beret Killed in Afghanistan Leaves Behind a Wife and Two Children”, Newsweek. January 23, 2019, “DoD Identifies Army Casualty”, DoD News Release. January 22, 2019. “U.S. 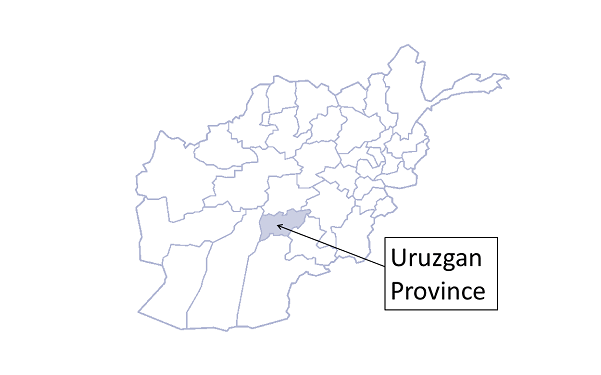 Service Member Killed in Afghanistan”, Resolute Support Headquarters, Afghanistan. Biography and photo provided by the Public Affairs Office of the U.S.Army Special Operations Command (USASOC).